Willow Wood Pet Resort & Training Center has been serving central Ohio since early 2002. 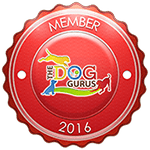 Our dedicated staff are all certified in Canine Body Language and Pet CPR. Our resort is relaxing for the pets offering a sound system that plays music throughout the building and climate controlled themed rooms with skylights. We have state of the art security systems including cameras and pet secure fencing. 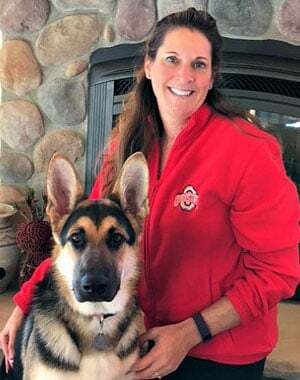 Gretchen Meienburg has been the owner of Willow Wood Pet Resort & Training Center since November of 2015. She also owns Urban Tails Pet Resort in Houston, Texas and Pampered Pets Bed & Biscuit with locations in Ohio and Indiana. Gretchen has a degree in Biology and Veterinary Technology. She was an active member of Pet Care Services Association starting in 2002 and was elected to the Board of Directors in 2006. She served as Ethics and VFA Committee Chair and lead the team to develop the PCSA Standards for the Pet Industry. Gretchen’s goal is to promote high standard of care for all pets staying in Pet Care Facilities. She is founder of MayCastle Consulting LLC and helps individuals achieve their dream of operating a highly successful Pet Care Business. Gretchen has an excellent understanding of pet care operations and experience to quickly identify opportunities for improvement. She also has a great network and will use it to get any answer needed by a client. Gretchen also trains Pet Care Facility operators and their staff on the operations of Atlantis Software to ensure they are using the program to its utmost capabilities and each facility is efficient with their procedures. Gretchen and her husband of over 20 years, have three two-legged children and five fur babies, Labrador Retriever Mocha, German Shepard Sasha, three cats – Butterscotch, Charlie and Carter. The International Boarding & Pet Services Association provides business resources, training and accreditation, and legislative support for the pet care services industry. IBPSA accreditation offers evidence of quality, the sharing of industry best practices, public accountability, and innovation exchanges with members around the world. Through the accreditation process, IBPSA provides external validation and confirmation of quality in a facility’s standards and operations, and ensures that it exhibits the characteristics of excellence in honest marketing practices. 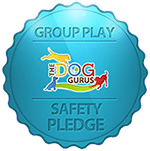 Willow Wood Pet Resort & Training Center is a member of The Dog Gurus and we have taken The Dog Gurus Safety Pledge. This means we made a commitment to design and operate our daycare program for the safety of all dogs. We strive to ensure the physical safety of each dog with a goal for every dog to go home behaviorally and emotionally better than when they arrived.